TEFL in Prague offers highly practical full time (4 weeks) and part-time (16 weeks) TEFL courses in the centre of Prague. Our TEFL programme is internationally recognized and IATQuO accredited and consists of 120 hours of in-class sessions and 6 hours (8 x 45 minutes) of teaching practice. We are a member of EDUA Group, one of the largest education companies in the Czech Republic. Experienced trainers, state-of-the-art facilities, amazing TEFL community. The ELT Hub, France (previously known as ESOL Strasbourg & ESOL Brittany) is now able to offer you the widest range of English teacher training services in France. CELTA, the most recognised teaching Certficate in TEFL : We now offer a choice of sites in France where you can take your CELTA in a variety of formats. If you’re confident you can pass your CELTA with the classic 4-week intensive course, then check out our city sites in Strasbourg and Lyon. If you’d rather take that bit longer and enjoy a beautiful, rural setting, then why not do the five-week course at our Brittany site by the sea? Our course is accredited by the National Awarding Body TQUK as being at Level 5, which is equivalent to CELTA/Trinity certificates. This enables you to work anywhere in the world. Whether you study our online or onsite TESOL / TEFL courses, on successful completion of the TESOL Certification, you will receive the TEFL Certification and a Course Transcript which gives a complete breakdown of course contents and grades for potential employers. International House Budapest offers the Cambridge CELTA in the 4-week intensive format year round, and in a 12-week part-time format twice a year. Our courses attract individuals who are looking for top-quality training from an experienced centre and wish to spend their time in one of the most beautiful, dynamic and livable capital cities in Europe. 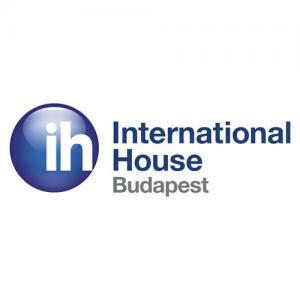 An excellent place to get some post-CELTA teaching experience, and a great springboard to a teaching position elsewhere, IH Budapest is a member of the International House World Organisation and has been providing language teacher training for over 25 years.